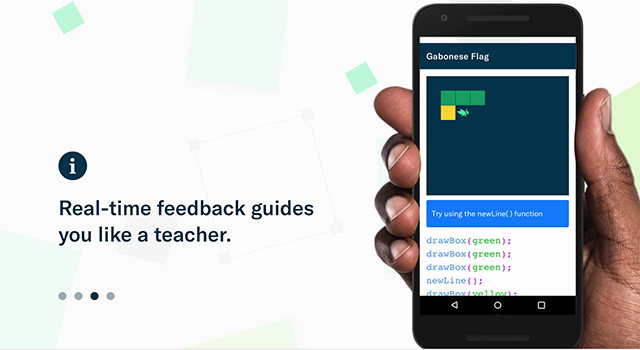 Grasshopper is a new coding educational product from Google. 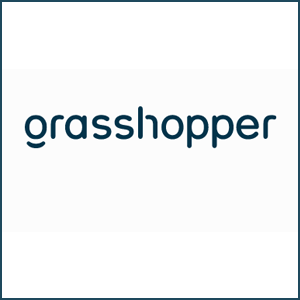 Grasshopper’s app works similarly to Duolingo, showing coding problems and having users input solutions. 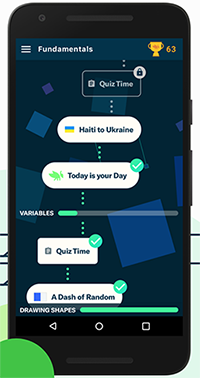 There’s also a “day coding streak” and various achievements that are unlock-able, adding a gamified element that may help some learners. In addition to the questions, the app also offers a ton of useful information. 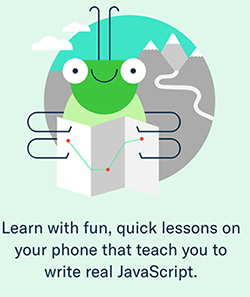 Rather than beginning with difficult to grasp concepts like programming math equations, as some other coding sites do, Grasshopper attempts to go into real world problems that apply to users’ lives (even if it’s as simple as drawing shapes). For young people just learning how to code, or adults gearing up to take a bootcamp, start their own projects, or pursue a new career, Grasshopper is a great place to begin.